Most 1WineDude.com readers will already be aware that my fellowship to last week’s 2010 Professional Wine Writers Symposium was underwritten by Franciscan. As part of the fellowship award, Franciscan invited me to a private tasting and interview with Janet Myers, the wine director who also handles winemaking duties at Mt. Veeder. Janet is a geek, in every positive sense of the word. We got to know each other a bit the night before the interview, at a dinner held for the fellowship recipients and their underwriting wineries, and I got enjoy Janet’s down-to-earth approach – which belies an almost encyclopedic knowledge of all things related to Franciscan, Mt. Veeder, and especially how their respective terroirs translate into their finished wines. She’s especially geeky about yeasts – and when you produce one of the more expensive Napa Chardonnays based on native yeasts (Cuvee Sauvage – the 2006 of which wowed the diners at our table with its balanced marriage of stone fruits, rich mouthfeel and acidic, refreshing finish) , it’s probably an enormous benefit to have a passionate geek making your wine. 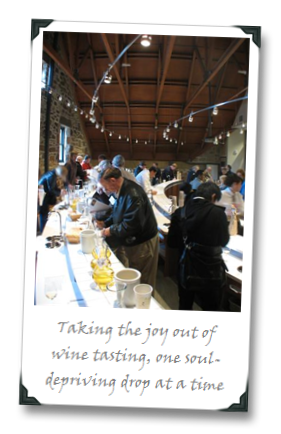 Janet also has a passion for blending that was evident when tasting the Franciscan and Mt. 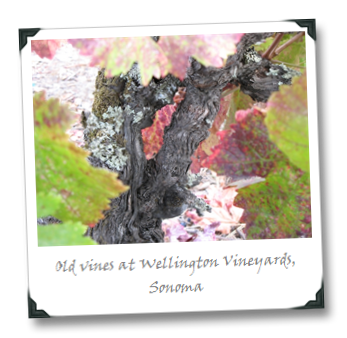 Veeder portfolio; all of the wines under her care are clearly well-crafted. And while Franciscan’s best-known wine (the 2006 Napa cabernet) felt out of balance to me, I was floored by the 2006 Napa Merlot, which Janet indicated gets a lot of focus at Franciscan in general because Merlot is such an important part of the blend that goes into their flagship Meritage (“Magnificat”). The Merlot is textbook Oakville – plump, ripe, full of plums and smoky tobacco – but is extremely well-balanced and supple. For $22 bones – it’s an impressive feat of winemaking and a hell of a wine for the price tag. Janet kindly agreed to have some of our discussion on her approach to blending captured on video, which is embedded below. You might be surprised to learn (as I was) that there isn’t a set “recipe” for blending the Magnificat. “We’re in the ‘blend late’ camp,” Janet told me, meaning that individual varieties are vinified separately and then blended together to make the final wine later. “I want to see how they develop before they get ‘nominated’ to go into the final blend – because they can surprise you. We’re not making Coca-Cola here; we’re keeping within a theme.” More on that in the vid. While the first thing that you may notice in the vid is my annoyingly rampant use of the dumbass’ anthemic “uhhhmmmm…” (due mostly to my state of exhaustion after having tasted dozens of wines at Pre-Premiere Napa events, some of it in soul-suckingly sterile environments – more on that in a later post), the first person who comments correctly identifying the MAJOR gaffe that I toss out in this video will win a fabulous prize (not kidding). Good luck! When it’s cold outside, as it has been the last few weeks in the Mid-Atlantic, one craves a wine that is… warming, big, bold. When there’s a blizzard, as there was in the Mid-Atlantic not too long ago, one doesn’t reach for Orvieto; one reaches for something, well, just… obnoxious. Bone-warming wine calls for dark color, big fruit, and – most of all – hot toddy levels of booze (at least). So naturally, one raids the zinfandel area of the sample bin. At least, that’s what one does when one is 1WineDude and one has my sample bins. What came out, though, was actually not a sample but a bottle of 2004 Zinfandel wine I’d purchased myself for $50 in Sonoma a couple of years ago, from Wellington Vineyards. At 15.5% abv, it certainly fit the bill for “potentially obnoxious” but what really pulled me in was the fact that when the vines whose fruit eventually produced this wine were planted, St. John’s in Newfoundland was on fire, St. Petersburg was incorporated in Florida, Benjamin Harrison was president of the United States, and a new small company called General Electric was founded.